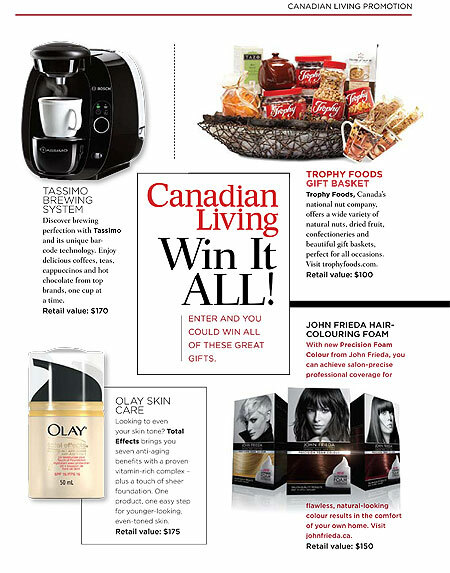 ENTER HERE daily for your chance to win a Olay Total Effects, Nes­tle , J&J and Bio-Oil Prize Pack­age from Cana­dian Liv­ing. Con­test will end on April 30,2012. 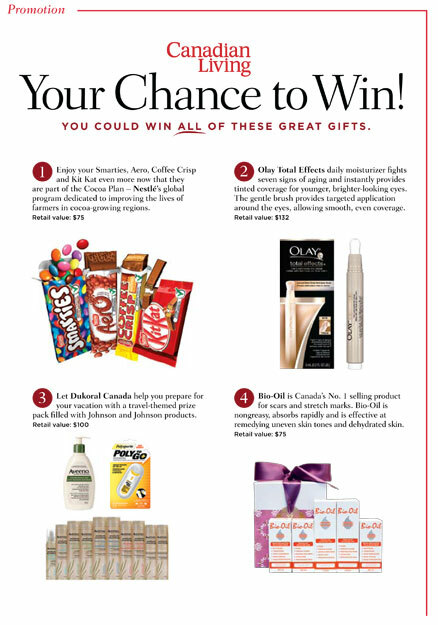 Thank You Pinecone for shar­ing this sweet con­test with us here at CoolCanucks.ca.